Ski Space Mountain Frozen? Will we be hearing strains of Elsa (or is it Anna?) warbling “Let It Go!” as we glide through a winter wonderland on a converted Space mountain? 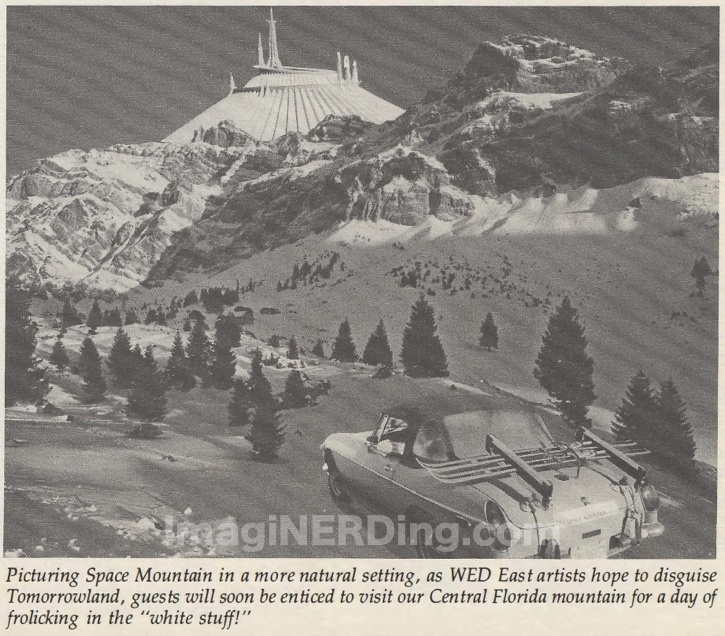 Imagine the Space Mountain cars retro-fitted as ski-mobiles! Star fields replaced with swirling snow flakes and snowballs! 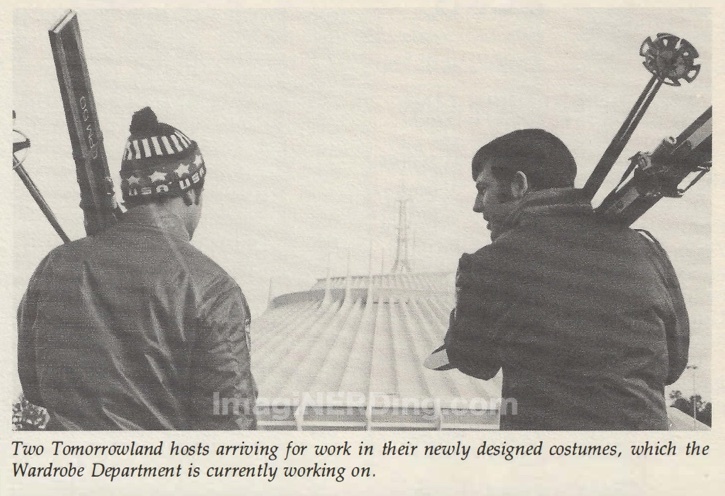 No, this isn’t the latest Frozen tie-in at Walt disney World, but an interesting item from 1979, after a cold snap! Looking back at historical weather trends, it looks like the first week of January, 1979 has lows in the upper 40s. Sometimes you never know what you’re going to run across when you’re researching Disney history. There’s not much else I can say about the following satirical piece from from a January, 1977 Eyes and Ears Walt Disney World Cast Newsletter. Of course, WED East is the Florida arm of Imagineering. With this week’s influx of polar-like temperatures across Central Florida. . . leaving behind a one-inch accumulation of SNOW on the ground as far south as Lakeland Tuesday night . . . WED East has unveiled their plans for a new Tomorrowland attraction. Termed “A brilliant and innovative double-use for an existing facility,” WED’s new attraction is to be called Ski Space Mountain. Working hand-in-hand with WED East in developing the new concept in “outdoor entertainment,” our own Creative Services staff in the Marketing Division have already come up with preliminary advertising posters and bumper stickers. Additional areas under consideration include four-man toboggan runs down the flume at River Country and ice skating on the River of America in Frontierland. Watch EYES & EARS for more details as they develop in the near future . . . and, Think Snow! Those kooky WED East Imagineers! What won’t they try to do in sunny Central Florida?